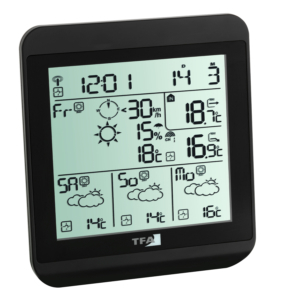 The "METEOTIME INFO" Weather Info Center provides you with a professional weather forecast for the current day and the next three days. 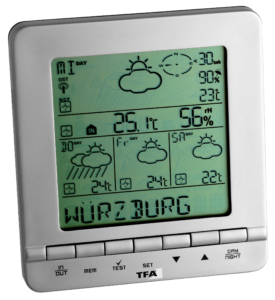 Simply select the desired region and the current weather forecast is shown on the display. 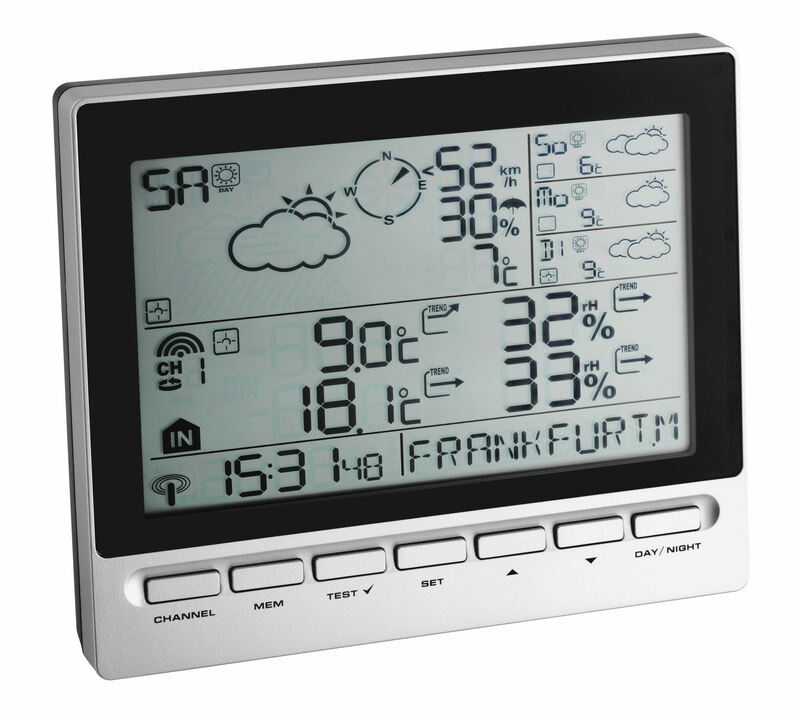 In addition, you will receive other useful weather information such as highest and lowest values for temperature and humidity, trend indicators, severe weather warnings as text displayed in 7 languages, or the probability of rain, snow and hail. 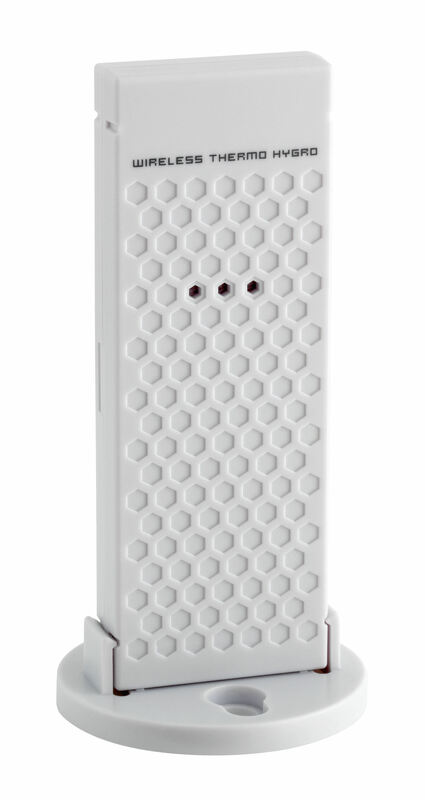 A separate wireless transmitter determines the outdoor temperature and humidity at its location; an internal sensor measures the indoor climate. The current time and date are also received via the DCF77 radio signal. Different alarm times for weekdays and weekends always get you out of bed at right time. Coupled with outdoor temperature readings, the "METEOTIME INFO" offers the possibility of an automatic early waking-up if there is a risk of frost, so you can have time to remove the ice from the windscreen and for a slow drive to work. 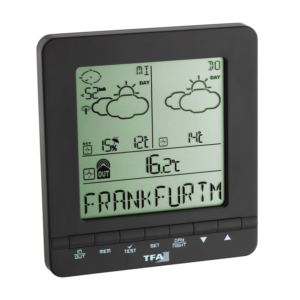 Two more transmitters for temperature and humidity can be connected, thus allowing the monitoring of other rooms, e.g. in the nursery, bedroom, cellar or garage.